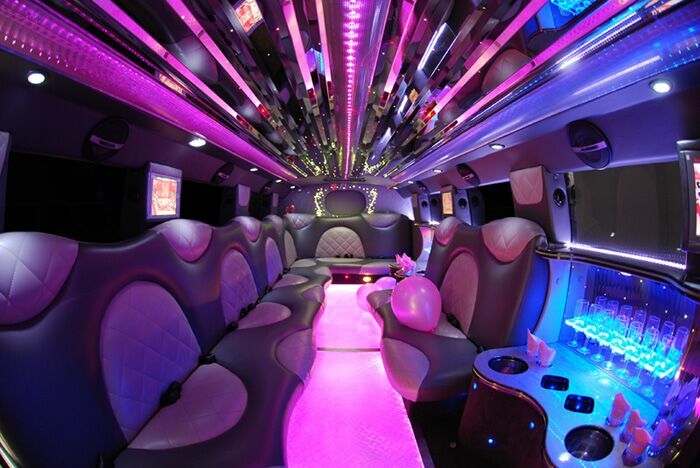 Reserve Miami's Hottest Limousines and Party Buses Now! Miami Limo Service is your leader in South Florida transportation. Now that you found us, you will not need to look any further for a transportation service in Miami. We have an exceptional fleet of vehicles for you to choose from as our sales staff will be proud to assist to pick the right vehicle for your event. Call Now: (305)-387-3035. Miami Limo Service offers top quality limousines and party buses we also offer limo service in Dade county including Coconut Grove, Aventura, South Beach, and all of Dade County.We appreciate the opportunity to earn your business, trust, and win your business for years to come. Imagine how amazing your next upcoming party, wedding, or even your anniversary would be when you do not have to worry about driving. You could enjoy more time kicking back relaxing and spending quality time with your friends and family while Miami Limo Service drives. Our chauffeurs can have you picked up right from your front door! Plan on showing your special someone a nice evening out? 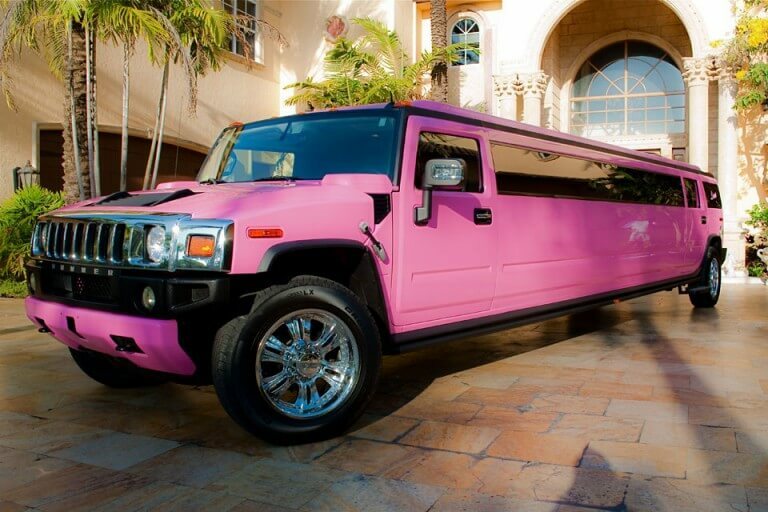 Well why not show them how much you care by renting a Hummer Limo, Range Rover or an Escalade limousine. No matter how large your group may be, we have the perfect vehicle that will fit everyone. Heading for a family reunion and need to get everyone in the same vehicle? 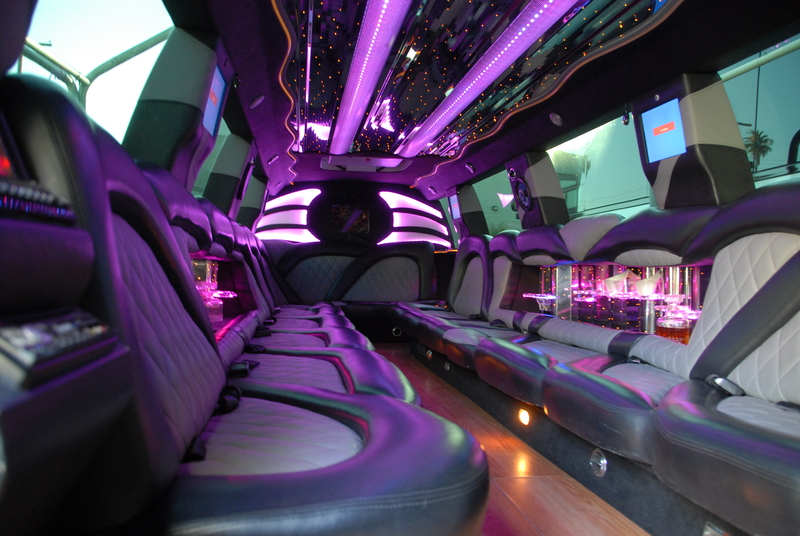 Our Excursion Limo Miami holds up to 22 passengers and would be perfect for your next event. 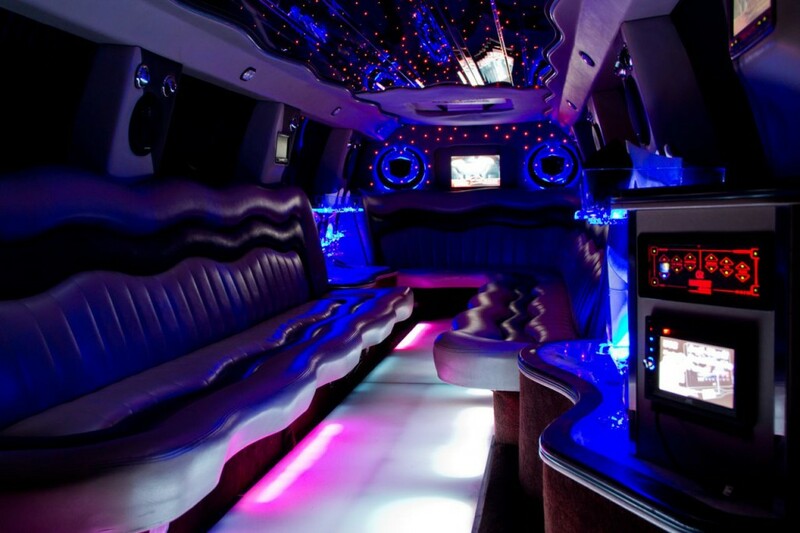 Limos in Miami are ideal for your night on the town. Do not worry about how much you or your friends drink out at clubs like Set, LIV, Club Space, and Club Mansion. Our trained drivers can be your designated driver for when you plan on getting wild and crazy. Take a Miami Limo Service tour and find things about the city you thought never existed. With MIA enriched with such history and culture you could only wonder how amazing the food is. Why not take your kids on an educational adventure and let me learn in style. Take them to Vizcaya Museum and Gardens or the ever so popular Miami Children’s Museum. Looking to hold up to 50 passengers? 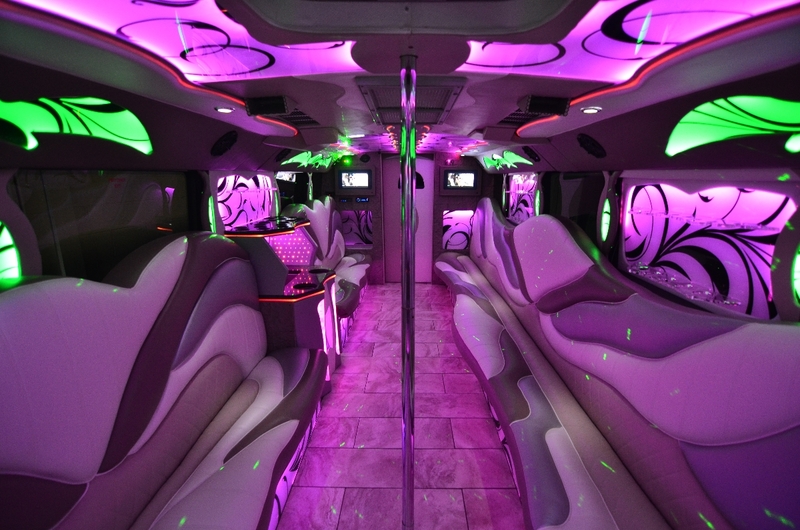 Then our Miami Party Bus Rentals are exactly what you are looking for. With most of them having mind blowing amenities like fiber optic lighting, custom leather seating, restrooms, multiple wet bars, hardwood floor and much more. Why waste time traveling to each nightclub? When you can take the celebrations point to point with you in a Party Bus Miami, FL. With our huge fleet of vehicles it can be hard to decide which one is perfect for you and your upcoming event. Feel free to call or click today to speak with our professional customer service representatives. They are available 24 hours a day and can help you with any questions or party bus prices Miami. Even sports fans have something to be excited about when renting a Limousine Miami FL. Think about how fun tailgating would be with a Hummer Limousine or Escalade. Your luxury vehicle will make everyone jealous and let you be the life of the celebrations. No more worrying about how far away you parked or if someone is going to key your car. Our professional driver will be waiting for you after watching the Miami Heat win a NBA Championship. Coming in for a family reunion and need a shuttle bus from Miami International Airport? We offer airport transfer services to MIA anytime you may need. Call or click the live chat button to speak with our trained customer service representatives. Miami Party Bus allows you to tour the city of Miami with the comfort of a millionaire and the style of a celebrity. Miami party bus has the most complete fleet and the best drivers in the trade. From business trips and dates to bachelor parties and nights out drinking, Miami, Florida party businesses will help you have a memorable time. Miami party bus rentals are highly affordable to many and by making your reservations, you’ll be making a lot of savings. You can leave the driving to our experience drivers and enjoy your time in Miami, Florida in style. Use Miami Party Bus to find the best prices. You can get this done within minutes by submitting the date, time and the number of passengers and you will get a quote. Miami Party Bus allows you to choose from an array of party bus rentals making sure that you are able to plan a memorable day while sticking to your budget. Party Bus Rental Miami consists of a fleet complete with Lincolns, Escalades, Hummers and stretch party businesses and charter buses. All the party buses look absolutely stunning to ensure that you have a great time and furnished to the highest industry standards to make sure that you’re comfortable while traveling. Do you have prom limos? Yes! Prom limo service is our specialty. Pick the limousine you like and we will take you to prom and home afterwards. There are hundreds of limousines being rented for prom in the Miami, FL Area, so be sure to make your reservations in advance before prices go up due to supply and demand. Do offer wedding limousine services? Yes! Wedding limousine service in Miami is one of our signature services. We have the perfect fleet of limousines for your wedding, reception, and after party! Your special day means just as much to us as it does to you, so we make sure to provide the highest quality limousines for weddings. 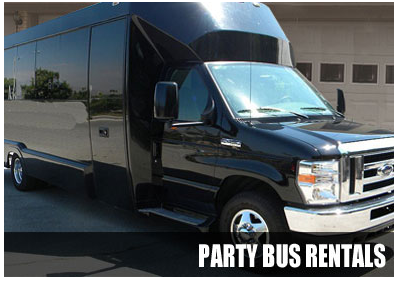 We also offer party buses, and charter bus rentals for large bachelor and bachelorette celebrations. How much money does it cost to rent a party bus in Miami? Prices vary depending on the number of passengers, hours needed, and stops made (or overtime). Your group can use any of our incredible party buses for those special occasions that you want to remember forever. 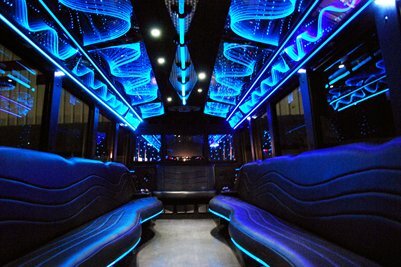 The most affordable way to obtain a party bus rental is to split up the cost with all passengers. Do you have charter bus rentals for school field trips? We do! We have access to dozens of charter buses that can be used for bith inner city and out of state travel! Our chauffeurs love chartering groups to museums, zoos, state parks, and many more cool destinations to see. Just let us know how many passengers there are, and we can get you a quote for multiple charter buses if necessary. If you’re going to be in the Orlando or Tampa area, check out our affiliate companies Best Limo Service Tampa, BusRental.net, and Orlandolimorental.com.